AI has been resting under all our noses this entire time, acting as a foundation to many trends. Think about it: through AI, it plays a part in optimization, analytics, personalization, and of course, critical business decision-making processes. With AI, developers and businesses have access to better connecting to their target online users through personalization and precision. AI’s ability to think and respond like humans leads to the inevitability of many industry players turning to this technology. As we have previously mentioned, the content marketing status quo has rapidly changed this past year. From compelling storytelling to visuals, moving content, and much more, a creatively-strategized way to execute your message goes a long way in appealing to your audience. Understanding the differences between branded content and advertorials is key when considering how to convey your message. Content strategies now go beyond a simple text that communicates your message- latching onto your viewer through your carefully-crafted content is all the buzz right now! The recurring concern of transparency among online users is integral to many online technologies’ abilities. With the continuous efforts of decentralizing third party powers while introducing a new framework for trust, Blockchain stands to disrupt the industry in the World Wide Web and solve today’s business issues, such as fraud, for instance. With technology’s rapid pace, the reality of Blockchain may be coming around the corner. With this new generational wave of increased video ads, mobile device use, and influencer marketing, social media platforms will not be put to rest anytime soon. Sites such as Facebook, Instagram, and YouTube are a force to reckon with. These social networks act as a gateway for brands to transparently connect to their desired targets. What’s more, the young crowd’s “personalized” connection to their trusting online influencer is something that online marketers should not underestimate. As stated above, personalization is growing in all the facets of the industry- AI, content marketing, programmatic native advertising, and so much more, just to name a few. In correlation, this year’s GDPR regulation launch makes personalization more important than ever as failing to do so can lead to compromising situations with online marketers and businesses. Thus, transparency and personalization go hand in hand when it comes to providing users the best online experience. Like what you read, but want to know more? We will be happy to discuss these trends and more with you! 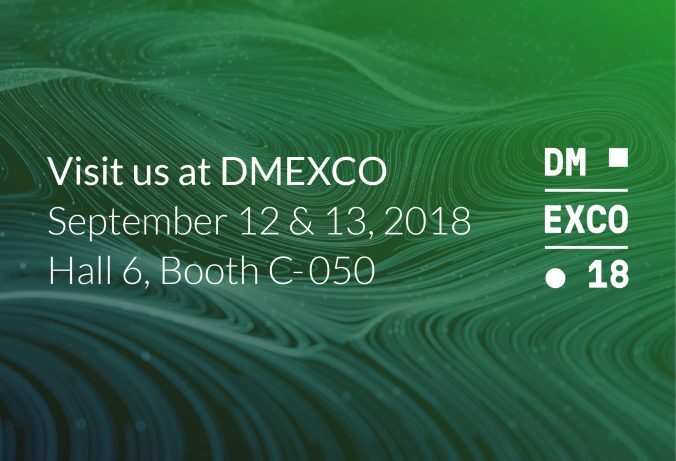 Feel free to visit plista at this years’ DMEXCO in Cologne. You´ll find us in Hall 6, Booth C 050.